Please join Robin Dill, author of Walking with Grace and a local Congregational Respite Care Developer and Mentor, as she guides caregivers through the Dealing with Dementia handbook. 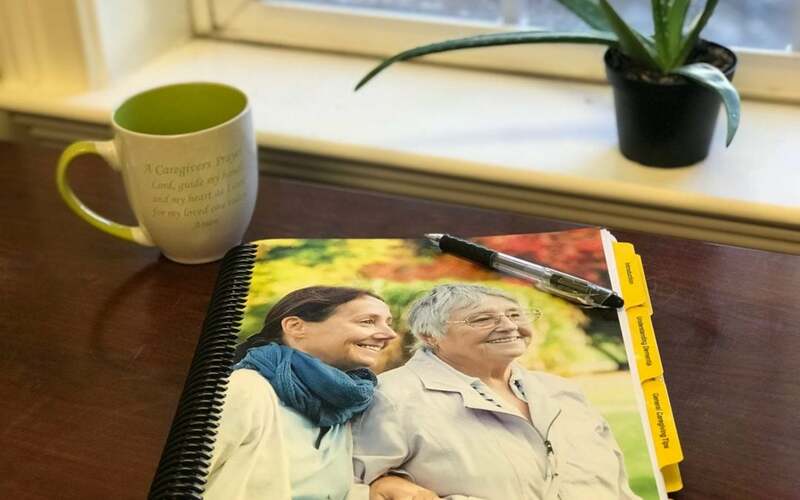 Published by The Rosalynn Carter Institute for Caregiving, this manual is an invaluable resource and compilation of information for any caregiver who has a loved one with a diagnosis falling under the Dementia umbrella (e.g., dementia, Alzheimer’s Disease, Parkinson’s Disease, Lewy Body Dementia, Vascular dementias, fronto- temporal dementias). This workshop is free but and space is limited to the first 20 individuals to register. Questions? Contact Robin Dill at robin.dill@comcast.net or 770-639-9515 or Christi Heidt at cheidt@pchlec.org or 678-374-1284.